I'm a taiji "student" and I burst out laughing from the first cartoon!!! Great setup, but I don't like the last panel. The text should say "Bus stop"
I think "achieve nothingness" is actually the last step of Tai Chi, isn't it? If so, then the last panel should stay as it is. 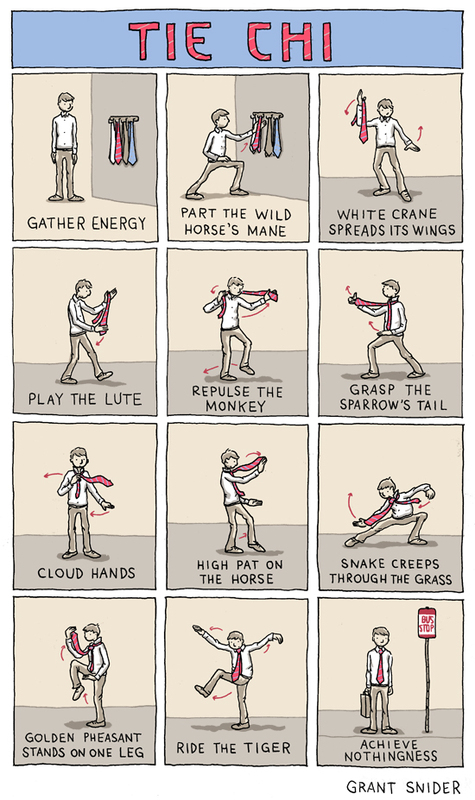 I don't think everyone knows this particular step in Tai Chi, so it doesn't strike them as funny. I admit that "achieving nothingness" doesn't strike me as funny either, though if it is the goal of Tie Chi, then the cartoon is perfect. Just great! Tai Chi Chuan in daily routine! I think every practicer has tried in some point of her/his life!